We care a lot about helping people be effective and we firmly believe that networking skills are foundational for success. We primarily work with leaders, lawyers and the business professionals who work with them. That's why we're such good "bar" tenders. The effectiveness of the Mocktail will be in direct proportion to the skill and care of the facilitator as the actual learning from the event comes through the discussions held during the debriefing session. All Mocktail facilitators have extensive training experience working with groups of all sizes and compositions. We possess a thorough understanding of the skill sets and behaviors that ensure success in social and business networking situations. This is essential in both delivering and training the trainer for the Legal Mocktail, as the facilitator is required to conduct, interpret, adapt and structure the exercise and the debrief session. This flexible approach is based on the behaviors and actions observed during the Mocktail itself to ensure applicability to each group of participants. We are happy to serve you. For program delivery and more information about the Legal Mocktail, please contact us. The Legal Mocktail was conceived and first delivered in Bermuda more than a dozen years ago. Since then, it has been delivered in various iterations across the US in cities such as Atlanta, Baltimore, Boston, Cleveland, New York, San Diego and Scottsdale. Favorite networking tip: Create an action plan, stick to it and follow up after the event. Favorite cocktail: Margarita made with fresh lime and sea salt on the rim, served while I’m floating in the pool, or if it’s too cool for the pool a Hendricks gin martini, straight up with a twist of lemon. Roberta Montafia has over 25 years experience in the legal industry, which includes 13 years as an in-house legal marketer. She now uses her considerable expertise helping law firms articulate a vision for the future, develop infrastructure and design and implement plans to support the vision and build a platform for success. While working in Bermuda, Roberta envisioned and created the first version of The Mocktail, which has now been delivered with many interesting variations to groups of all compositions and sizes. Roberta’s experience covers a wide range of geographies including several years working in Europe, which allowed her to add an understanding of the international legal marketplace to her law firm marketing background. This experience, coupled with her former position as Global Chief Marketing Officer for one of the world’s largest law firms, has given her an advanced understanding of legal developments and opportunities globally. Roberta’s most recent in house experience was with Day, Berry & Howard LLP where she was relied on for her expertise in client service, branding, business development and sales education and training. 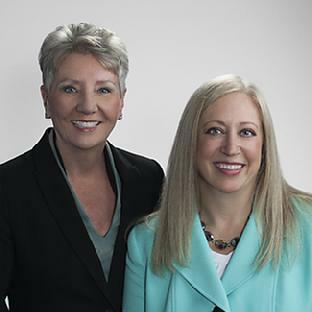 Under her leadership the firm was named as one of the MLF 50 – The Top 50 Law Firms in Marketing and Communications, by LJN, Marketing the Law Firm 2 years in a row. She also has had several marketing initiatives recognized by the Legal Marketing Association’s Your Honor Awards. Roberta gained her knowledge of the offshore world when she was recruited as the first Marketing Director for Appleby, one of Bermuda’s largest law firms. She was responsible for the strategic business development of the law firm and its business subsidiaries, and was instrumental in the creation of the firm’s first web-based product. Over a nearly 5 year tenure with the firm her strategic marketing leadership resulted in the firm becoming well known for its innovations on many fronts; for its web-based legal tools, as well as for original insurance products. It was while she was with Appleby that the Legal Mocktail™ was born. Roberta is a graduate of the University of Massachusetts and earned her Juris Doctor from Suffolk University Law School. She is a member of the advisory board of the Legal Sales and Services Organization, a Fellow of the College of Law Practice Management, a 2008 inductee in the Legal Marketing Association Hall of Fame and a former President of the Legal Marketing Association, under whose leadership the organization made many strategic advances in the areas of member value, technology applications and organizational efficiency. She has authored numerous publications and is a frequent panelist and speaker at bar associations, specialty bars, CLE programs and legal marketing and business development seminars. Favorite networking tip: Build in your follow ups while at the event so you know what you're going to do and when you will do it. Then, you won't have to work so hard to connect with people afterward. Plus, when you follow up as promised, you start to differentiate yourself because you are demonstrating genuine interest and integrity. Favorite cocktail: Homemade Stoli Doli Martini – a homemade pineapple infused vodka martini with fresh lemon and lime juices served in a glass straight from the freezer. Catherine, the enthusiastic co-creator of the Legal Mocktail™, is a former corporate counsel and successful law firm executive. She now provides consulting, training and coaching services in the areas of process improvement, project management, marketing and business development to law firms and legal departments. Catherine is also a Co-Founder of the Legal Sales and Service Organization. LSSO is exclusively focused on sales, service excellence, and process improvement and presents the annual RainDance Conference™. Catherine directed LSSO’s pioneering research, Women Lawyers: Sales and Business Development Issues in 2004 as well as the LSSO’s 2008 Women Lawyers Study that followed. In her consulting practice, FIRM Guidance, she offers strategic planning and client development consulting services, including preparing and delivering workshops, programs and retreats for lawyers, law firm leaders, and legal business professionals. She is certified to administer the Myers Briggs Type Index and is a trained facilitator. Catherine currently serves on the International Board of the Legal Marketing Association (LMA). She is a frequent speaker at retreats and industry conferences and is an adjunct professor at George Washington University and delivers a Legal Lean Sigma CourseÒ as part of the Masters in Law Firm Management program. She is in her sixth year as a guest lecturer at Emerson College, where she is one of the highest rated annual speakers by professional services marketing graduate students. Along with Beth Marie Cuzzone, she is co-author of the best-selling book, The Law Firm Associate’s Guide to Personal Marketing and Selling Skills, and accompanying training manual, published by the ABA’s Law Practice Management Section in 2007. She is co-author with Silvia Coulter of the second edition of The Women Lawyer’s Rainmaking Game: How to Build a Successful Law Practice. Catherine has published many articles on sales, service and business issues affecting the legal industry, such as the monthly Thought Leaders series for the Legal Marketing Association. Some of the honors and awards Catherine has received include: Fellow, College of Law Practice Management, Boston Business Journal’s 40 Under 40, two years on the prestigious MLF 50 (Marketing the Law Firm Top 50) List, and several Legal Marketing Association Your Honor Awards. Favorite networking tip for lawyers: Find out who will be attending your event - ask for the pre-event registration list and do your homework. Remember, it's about building relationships and having a conversation, not "selling." Favorite cocktail: Only one? During the summer, I love Bacardi and tonic with a twist of lime (particularly when sitting on a beach or lounging in a boat!) but during the colder months, Bailey's and hot chocolate warm me up, alongside a roaring fire apres ski. Susan Post Munafo is the Director of Optimal Outreach for the Legal Mocktail™. She backs that up with more than 20 years experience selling professional services with an emphasis on service excellence. Susan has consistently over-achieved her revenue targets and sales objectives, whether selling to Fortune 100 companies, law firms, or consumers. She gets the importance of building relationships based on value and trust. Prior to joining the Legal Mocktail, Susan was a Marketing Director and a Manager of Business Development at Boston law firms. She facilitated and coached client teams on the selling process, including setting team revenue goals, developing sales plans, identifying cross-selling opportunities, devising client engagement best practices, and managing teams to ensure execution. Serving as major account executive for a national practice in Hewlett Packard’s Professional Services organization. Susan’s customers included Fortune 100 companies such as GTE, Bell South, Nations Bank, and First Union. Managing top national law firms for Lexis Nexis leading her team to ensure deliverables and service excellence; won numerous awards including Circle of Excellence, President’s Club and Account Executive of the Year. Susan is a certified Legal Lean Sigma® Yellow Belt. She’s an active member of the Legal Marketing Association, LSSO and Strategic Account Management Association. Susan is also a leader where she lives. She’s a member of the Swampscott, Mass., Historical Commission and participates on various committees and task forces for her children's schools. Susan received her BS from the University of Vermont and her MBA from George Mason University. Favorite networking tip for lawyers: Act like a host, not a guest. It is a simple trick to get your mind engaged and most productive for a networking event. Make introductions, make connections and speak to as many people as possible for the best results! Nathalie Daum is a Fabulous Facilitator of the Legal Mocktail. With many years of experience, she implements goals and objectives via the following areas of expertise: Strategic Planning and Execution, Program/Project Management, Coaching and Training, Relationship Development, Client Relations and Budget Management. Her specialties are strategic planning, business development, coaching, client relations, relationship development, marketing, branding, budgeting, project management, events, presentation skills, public speaking, and research. Nathalie has held titles of Director of Marketing and Business Development as well as Director of Marketing and Client Services in firms of various sizes and geographic scope. She served as President of the Legal Marketing Association and is an accomplished, well-respected leader in law firm marketing.